Discussions Magazine Music Blog: LIONEL LOUEKE/Mwaliko (NEW album) and tour dates announced! LIONEL LOUEKE/Mwaliko (NEW album) and tour dates announced! 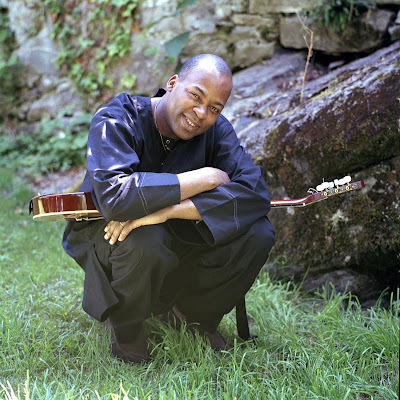 Guitarist/vocalist LIONEL LOUEKE announces tour dates in support of his new album, Mwaliko, due out on February 9th, 2010! Lionel Loueke has announced a first run of tour dates in support of Mwalik o , his sophomore album for Blue Note Records which will be released on February 9, 2010. Mwaliko (pronounced mwah-LEE-koh) is Swahili for “invitation,” and the album comprises a series of searching, innovative, intimate duets with special guests vocalist Angelique Kidjo, vocalist/bassist Esperanza Spalding, vocalist/bassist Richard Bona and drummer Marcus Gilmore, as well as three new tracks featuring his longtime trio with Massimo Biolcati on bass and Ferenc Nemeth on drums.